We offer the best range and great value! Salonlines is a one stop shop for Salon furniture, Salon supplies and Salon Electrical goods. Featuring all the salon equipment you need for your busy hair and beauty salon. We have a wide range of salon equipment to suit all pockets, all from major European brands which guarantees the best quality and fast delivery. We sell all the tools of the hair and Beauty trade including a massive range of hair dryers, curling irons and hair straighteners. Plus, with our range of Barber shop supplies we also cater for Barber shops, and have all the little things that traditional wholesalers don't have for Barbers. We are authorised distributors of Wahl and Andis clippers including the ever popular Wahl Super Taper. Salonlines Hair & Beauty are stockists of Sudo spray tanning, with everything from Spray Tanning compressors to Spray Tanning lotions. Do you use sunbeds? We supply sunbed creams from intense tingle to high protection by WSP, world suncare products. Salonlines is based in Liverpool and have a large Salon furniture showroom featuring the shabby chic salon furniture ranges by Ayala. Some orders can be collected by prior arrangement. 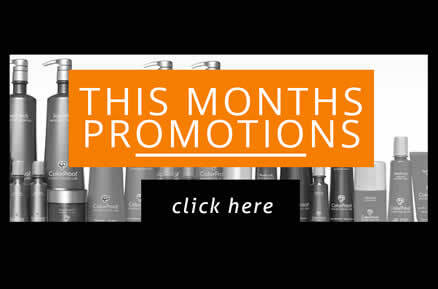 Star Buys - This months special offers!